Why Buy From An Authorized Retailer? The reliable, robust and refreshed Calypso regulator is compact, lightweight and perfect for beginner divers and dive centers. 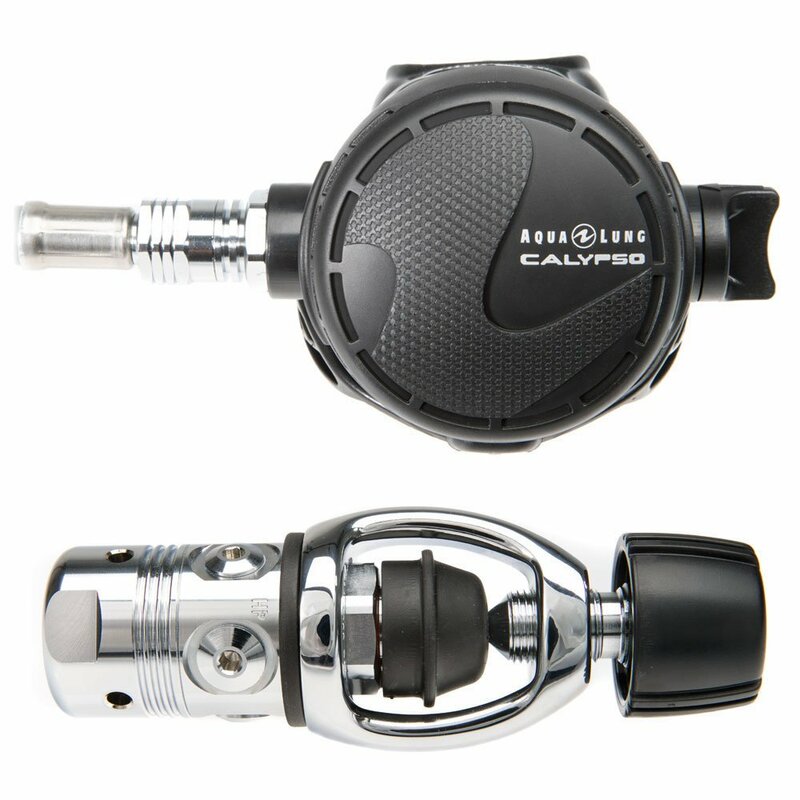 The Calypso regulator has been a dependable favorite for decades and has been emulated, but never equaled. Redesigned with a youthful twist, the new Calypso is has an attractive new look to go with its always attractive price. The Calypso is durable and dependable in even the most demanding conditions. Its easy-to-maintain, lightweight, compact and comfortable design makes it a great fit for beginners and for use in dive centers. Dive centers will appreciate that this new version is compatible with previous versions. The in-line Venturi knob offers effective and progressive adjustments using an ergonomic design for easy manipulation, even with gloves.